Nintendo covered a lot of new Switch and 3DS content in its Direct presentation today, and one of the most rapidly approaching Switch titles highlighted was Fire Emblem Warriors. Not only did the upcoming hack-and-slash Fire Emblem spinoff gain a new gameplay trailer, it also added a familiar character to the confirmed roster: Lyn from Fire Emblem for the Game Boy Advance. In a quick one-minute segment during the Direct, Lyn appears cutting through hordes of enemies with ease, wielding her legendary blade, the Sol Katti. The end of the short Warriors segment teased a new gameplay trailer. Less than fifteen minutes later, the trailer dropped on the Nintendo YouTube channel. The trailer consists mainly of several characters releasing their powerful attacks and treating fans to more snippets of voice acting. Also featured are gameplay mechanics such as the weapon triangle, hero pairing, and tactical maps. Each of these facets of the game had already been revealed prior to the Direct. Since its announcement in January 2017 until today, Fire Emblem Warriors had only confirmed characters from three games: Shadow Dragon and the recent Fates and Awakening. The roster leaned heavily toward characters from the two newest original titles, and it was implied that these might be the only source for additional heroes, at least on launch day. Now, with the addition of Lyn from a different game altogether, the door might be open for a broader cast of Fire Emblem favorites. 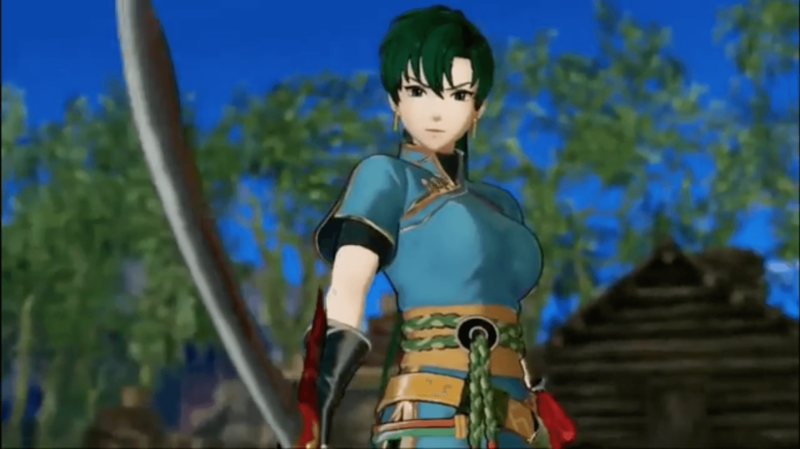 Lyn makes sense as one of the first additions from an older Fire Emblem game due to her popularity among fans of the series. She won the voting contest conducted for the mobile game Fire Emblem Heroes, and her game often ranks among the best and most popular in the GBA’s repertoire. These new developments come just over a month before the game’s North American release, scheduled for October 20.